Carl Dyer’s Original Moccasins are crafted from the finest available leather. The hides used in our World Famous Leather moccasins are from Swiss dairy cattle, 16-18 years old. The age of the animals and the Swiss climate encourage the development of hides up to 1/4″ thick. The hides are tanned in England using an exclusive double bath chrome tanning process which includes the use of artesian spring water and mutton tallow. This process increases the tensile strength of the leather without sacrificing any of its suppleness. The end result is a thick, water resistant, flexible leather that is comfortable to wear, yet extremely durable. The hides used in our Buffalo moccasins are acquired and tanned in the United States. The buffalo and sheep are ranch raised; the deer and elk are taken during regulated annual hunting seasons. 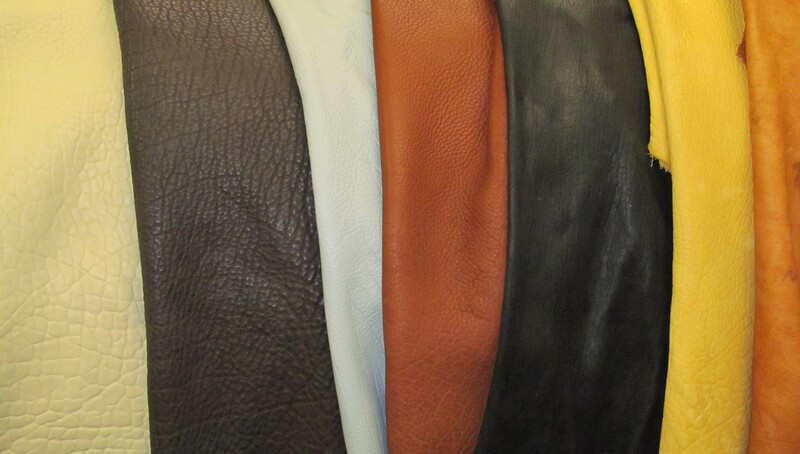 Buffalo is a durable yet very flexible leather. It conforms well to the feet and is soft and supple. All moccasins are double-soled with our World Famous Leather for added stability, durability, and water resistance.